Handmade and authentic Citrine Stone Orthodox bracelet. 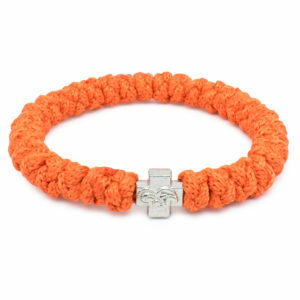 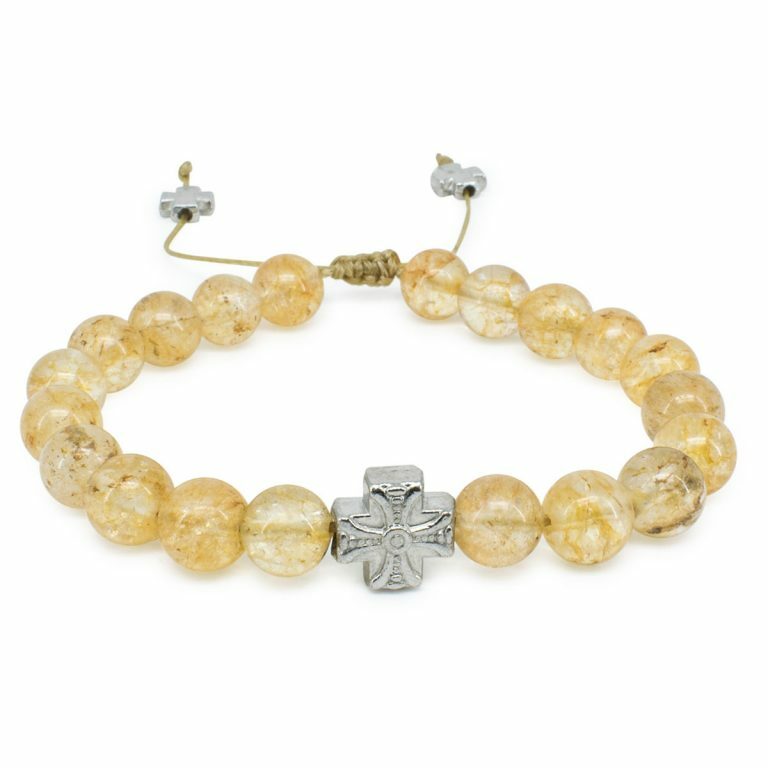 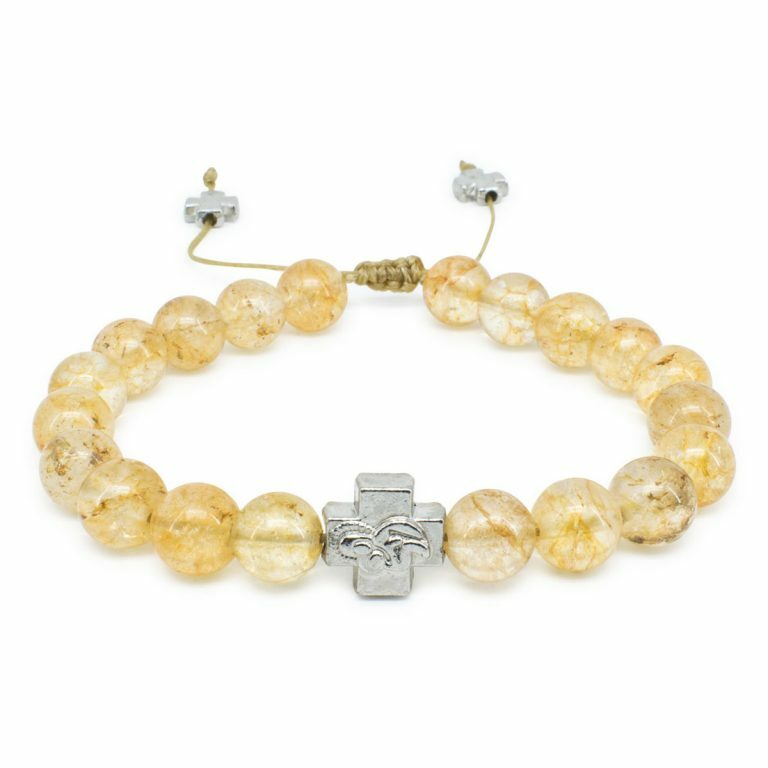 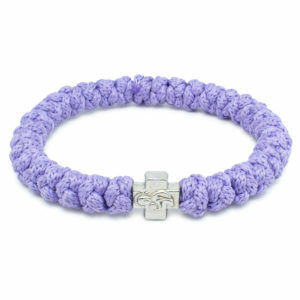 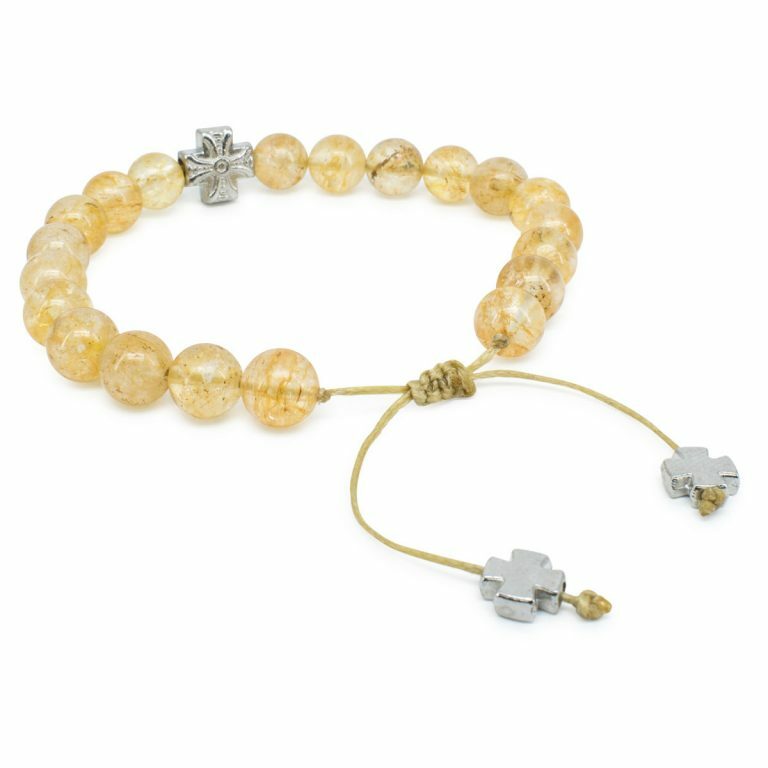 This bracelet consists of 20 genuine natural citrine stone beads and one double-sided metal Theothokos cross bead. 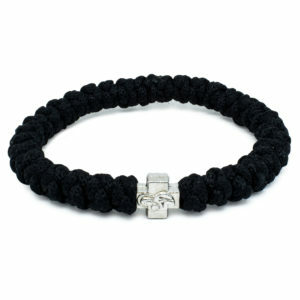 Size can be adjusted by pulling on the 2 ropes.